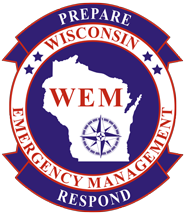 Richland Center, WI: Richland County Health & Human Services recommends preparing an emergency kit for your family to keep them safe and healthy during a disaster. If a disaster strikes in your community, you might not have access to food, water, or electricity for several days. You may think that you will have enough time to run to the grocery store, but stores quickly sell out of important supplies following emergency warnings. Unfortunately, about half of adults in the United States do not have the resources and plans in place for a possible emergency. Keep copies of your important documents, cash, spare keys, and maps in you emergency supply kit. • Your completed family emergency plan, complete with family and emergency contact information.